Monique Ingalls (Ph.D. University of Pennsylvania, 2008) is an ethnomusicologist and Assistant Professor of Music. Prior to joining the Baylor faculty, she served as a postdoctoral teaching fellow at the University of Cambridge from 2011-14. 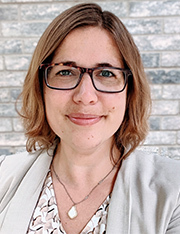 From 2014-2015, she was concurrently appointed a Senior Research Fellow and Visiting Assistant Professor at Yale University’s Institute of Sacred Music. 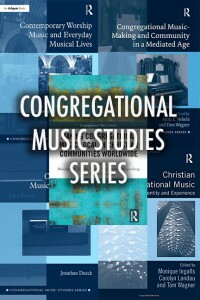 Dr. Ingalls’s research explores the effects of recent social, cultural, and technological change on evangelical and charismatic Christian congregational music-making in North America and beyond. Her articles have been published in journals, encyclopedias, and edited books in the fields of ethnomusicology, media studies, hymnology, religious studies, and ecclesiology; recent topics include how current trends in popular music are influencing worship; how and why gospel and praise and worship music are spreading around the world; and how digital audiovisual media influence how worship music is made and marketed. 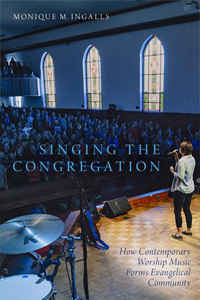 Her monograph Singing the Congregation: How Contemporary Worship Music Forms Evangelical Community was published by Oxford University Press in Fall 2018. 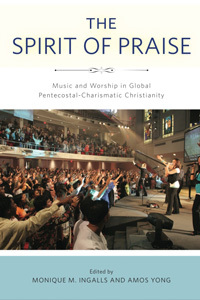 Drawing from five years of multi-site ethnographic research, this book shows how performing contemporary worship music has changed US evangelical Christians’ understanding of worship and brought into being new ways of creating community. Her current research examines the growing popularity of British gospel choirs. This multi-year ethnographic project focuses on gospel choirs an choir networks in three UK cities, using these choirs as a lens for studying processes related to social integration, ethnic identity, and the shifting roles of religious music in (post-)secular, post-Christian societies. Dr. Ingalls is dedicated to building collaborative research networks for the study of Christian music and religious music more broadly. 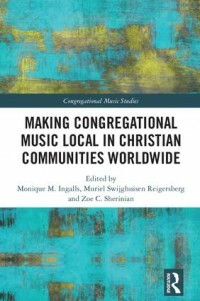 She co-founded the Congregational Music Studies research network, which holds its biennial meetings at the “Christian Congregational Music: Local and Global Perspectives” conference in Cuddesdon, Oxford, UK (see congregationalmusic.org). She also served as co-founder and first president of the Religion, Music, and Sound Section of the Society for Ethnomusicology. She is lead editor of the books Christian Congregational Music: Performance, Identity, and Experience (Ashgate, 2013), The Spirit of Praise: Music and Worship in Global Pentecostal-Charismatic Christianity (Penn State University Press, 2015), and Making Congregational Music Local in Christian Communities Worldwide (Routledge, 2018) and is a series editor for Routledge's Congregational Music Studies book series. Honors and awards that she has received include the Society for Ethnomusicology’s Charles Seeger Prize (2007), the American Musicological Society’s Janet Levy Award (2009), the British Academy’s Small Research Grant (2012), the Music & Letters Trust Award (2013), the Cambridge University Students’ Union Teaching Excellence Award (2014), the Yale Institute of Sacred Music’s Senior Research Fellowship (2015), and induction into Baylor’s Rising Star Program for researchers (2017). Dr. Ingalls’s courses on music in Christian worship draw insights from across music studies, media studies, the social sciences, and practical theology. In addition to classical training as a pianist and choral singer, her eclectic musical experience encompasses playing keyboard for ’70s-’80s pop-rock cover bands, participating in a Javanese gamelan percussion orchestra, and singing traditional polyphony from the Republic of Georgia. Dr. Ingalls resides in North Waco with her husband, daughters, and cats, and serves in the music ministry of Holy Spirit Episcopal Church.